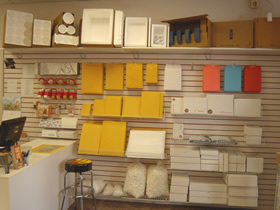 Pak Mail Corvallis has packaging supplies – from simple bubble mailers to die-cut boxes to multi-depth boxes. We have packing peanuts, Bubble Wrap®, stretch wrap, and tape. Give us the dimensions and fragility of the item and we’ll help you choose the right packaging materials for your project. Are you feeling “all thumbs” packing Aunt Millie’s fine china? Do you have more things on your to-do list than you have time? Bring the items to us and we’ll pack them for you. Leave it to the experts at Pak Mail Corvallis and go have lunch with friends. Pak Mail Corvallis is a full service packing and shipping store as well as a custom crating and freight shipping company. We are located in Corvallis and proudly serve the all surrounding cities. Request a Free Online Estimate or call us at 541-754-8411.